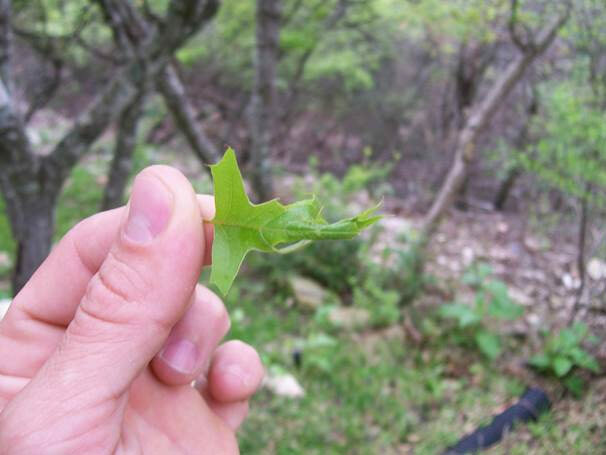 Oak leafroller caterpillars roll leaves together with silk. 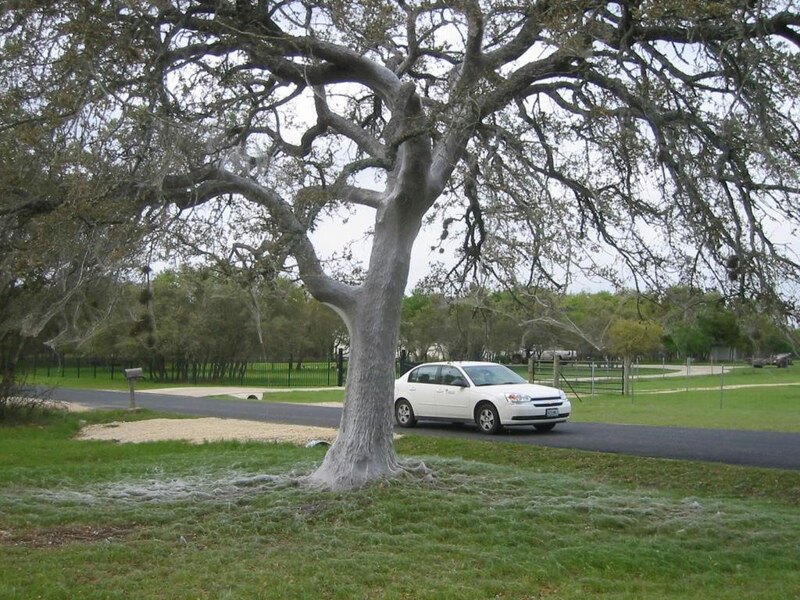 Silk threads cover the bark and ground. 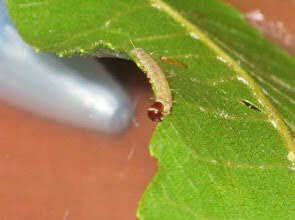 Oak leafroller caterpillar feeds on a leaf.